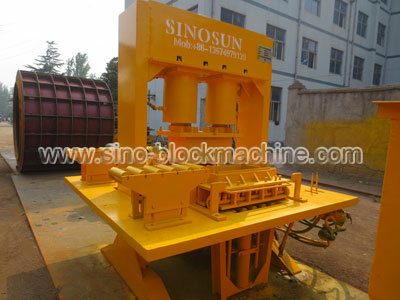 SINOSUN 300T Hydraulic Block Forming Machine is our specially designed machine to make high quality pavers, interlocking blocks, grass-planting blocks, and blind tracks blocks, riverside bricks, and curbstones, very good block quality, better block performance than those made by common block machine. Our 300T Hydraulic Forming Machine has the following features: small size, light weight, simple frame, small noise, stable pressure, easy operation. It doesn’t need installation foundation, can produce blocks and curbstones everywhere. This machine has better performance and easy maintenance. 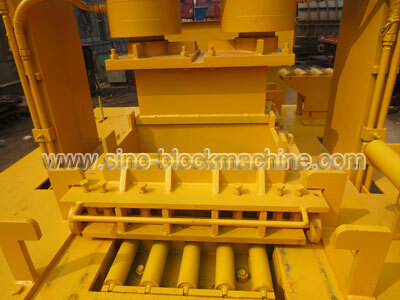 300T Hydraulic Forming Machine is operated by four joysticks at two sides. Workers use joysticks to control the up and down of mould. After short time trained and according to Operation Instruction, workers can operate this machine very well. Two working platforms, two operators can work at the same time. This 300T Hydraulic Forming Machine can produce long curbstones. 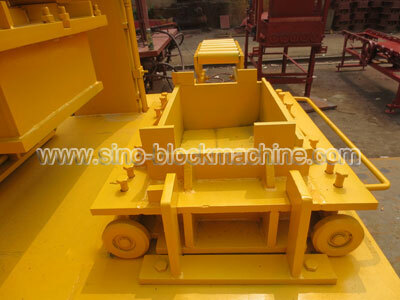 It consists of machine, one upper mould, two lower moulds, joysticks, hydraulic station, and curbstone lifting device. Application: suitable to produce curb stones and paving bricks.